Sometimes when I'm playing on Papa's desk he lets me drink fresh milk from a small dish. He says that milk is good for me. I like milk very, very much, so I do as he says. 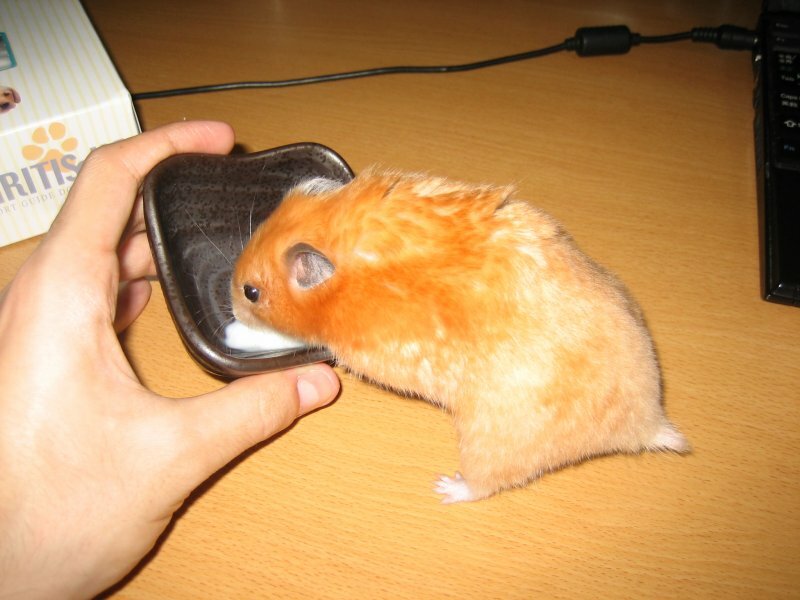 I never knew Hamsters liked milk! well.. i dont like milk very much, but it is very healthy for you!! good thing you like it miss nana..
Too bad hamsters can't have chocolate milk! They also like soy milk and soy yogurt. It's hard to split one yogurt lid between 5 hamsters (2 Syrian and 3 Roborovskis) Our vet saiys some hamsters don't digest milk well, just like some humans. milk is good for your bones!!! that are good for you. You go girl!